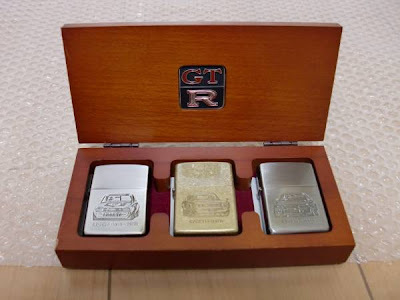 While cruising the Auctions again tonight I came across this set of 3 Zippo lighters in a nicely made box. 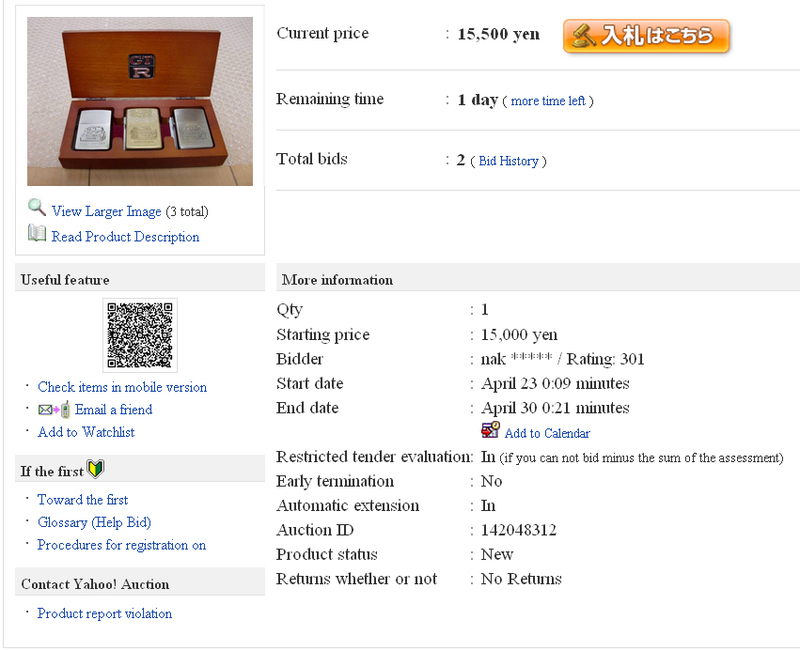 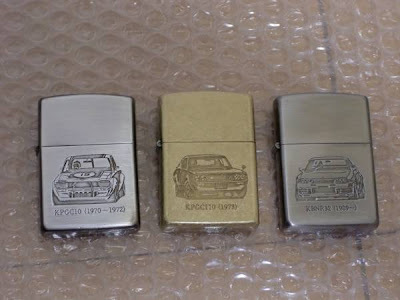 The seller describes it only as "BNR32 Hakosuka Kenmeri Zippo set of three... Quite precious... some scratches" doing a bit of research it seems like it was made in 1993. 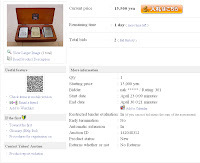 The minimum price at the moment is roughly $180 USD and has 2 bids so far. 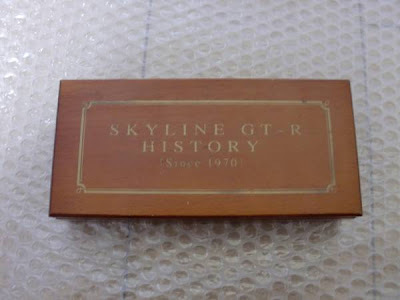 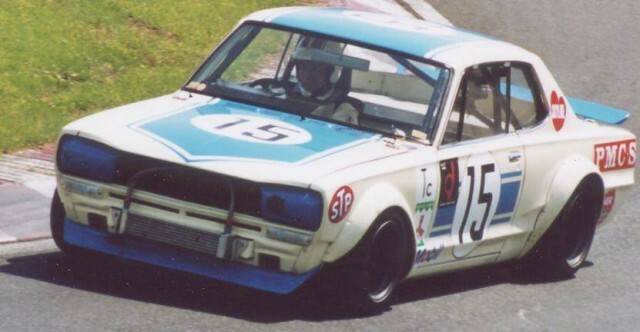 On the top of the wooden box its painted: Skyline GT-R History (Since 1970). Opening the box you can see a classic Hakosuka GTR badge inlaid, and 3 Zippo lighters. 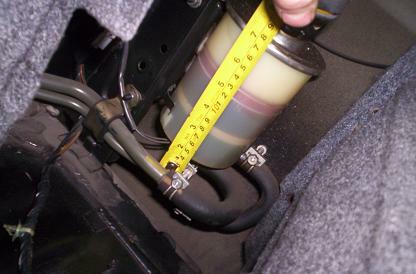 The final lighter on the right depicts a KBNR32 (1989) which I assume can only represent the date of the first R32 GTR made and shipped. 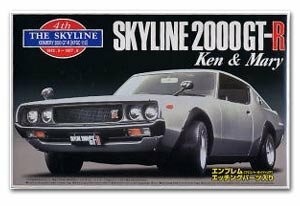 It looks fierce with the front wheels set to so much camber, it's a nice kit and would make a fine addition to any collectors set.